Can My Employer Spy on Me After a Work Injury? If your on-the-job injury is more serious, your medical bills can skyrocket. Your employer's insurance company is going to do its best to save money--even if it means resorting to surveillance methods. 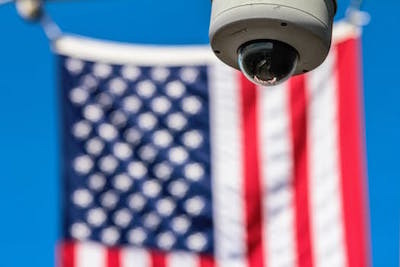 When is Surveillance Legal in Florida? Surveillance is legal in Florida in some cases, and if you are hurt on the job, your employer's insurance company may hire a private investigator. It is legal for someone to take pictures or video of your activities outside of your home. However, it is illegal for them to record your voice without your consent. According to the law, it is also illegal for anyone to intercept phone calls or other electronic communication and use it without your consent. Be aware of the fact that many expensive workers' compensation cases may involve a private investigator. Don't worry about this if you are hurt to the extent that you claim and if you follow your doctor's orders. If you do what you are told in order to heal, your claim won't be affected by surveillance. The value of these images is determined by the judge assigned to your case. If you have a back injury and are caught doing work in your yard, it is likely to hurt the outcome of the case. However, if there is only one picture of you lifting a grocery bag, your claim may not be damaged. What If My Workers’ Compensation Doctor Is Not Providing Sufficient Care? If you have questions about your Florida workers' compensation claim you can download a FREE copy of Wade Coye’s book, Sharing the Secrets, Learning the Lies: A Guide to Florida Workers' Compensation. You can also contact our expert team by calling (407) 648-4940 today or by filling out a contact form.